New York State cares about women’s health. They have options to keep you covered no matter where you are in life. The NY State of Health Marketplace is your place to shop, compare and enroll in a low-cost quality plan that’s right for you. It’s the only place you can receive financial assistance based on your income, to lower your costs even more. You can shop for comprehensive health insurance coverage and dental coverage, for kids and adults, men and women. Whether you never plan to have a baby or you’re just waiting to start your family, the Family Planning Benefit Program can help you get the health care and family planning services that best meet your needs. Eligibility is income based, and you may still be eligible for the FPBP if you are already covered by other health insurance (including Child Health Plus). There are many health care providers that can provide confidential health care and family planning services under this program, including hospital based and free-standing clinics, family planning clinics, county health department clinics, federally qualified health centers, rural health centers, obstetricians and gynecologists, physicians, licensed midwives, nurse practitioners, pharmacies, and laboratories. A healthy baby starts with a healthy pregnancy – protect yourself and your baby! New York State makes it easy to get help paying for your care during pregnancy, and beyond. Medicaid Prenatal Services helps you get the care you need for you and your baby. 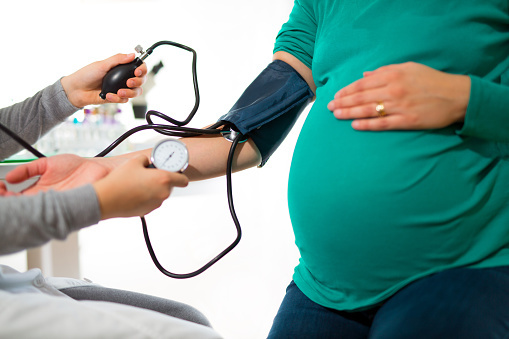 Medicaid offers complete pregnancy care and other health care services to women and teens who live in New York State and meet certain income guidelines. You may be eligible even if you have health insurance. And there’s no cost to eligible woman. Not only do you get coverage for your pregnancy, but your baby receives health care coverage for at least one year after birth. And through the Family Planning Extension Program, you’ll get reproductive health and family planning coverage and services for two years after birth! New York State wants every pregnant woman to have health insurance coverage, to help her get the care her and her baby need. That’s why pregnancy opens a Special Enrollment Period on the NY State of Health Marketplace. Even if you are not eligible for Medicaid Prenatal Services, you can shop, compare and enroll in a low-cost quality plan that’s right for you. It’s the only place you can receive financial assistance based on your income, to lower your costs even more. New York State has a health insurance plan for kids called Child Health Plus. Depending on your family’s income, your child may be eligible to join either Children’s Medicaid or Child Health Plus. To be eligible for either Children’s Medicaid or Child Health Plus, children must be under the age of 19 and be residents of New York State. There are no co-payments for services under Child Health Plus. Depending on your income, there may be a monthly premium. Enrollment for Children’s Medicaid and Child Health Plus is open all year.